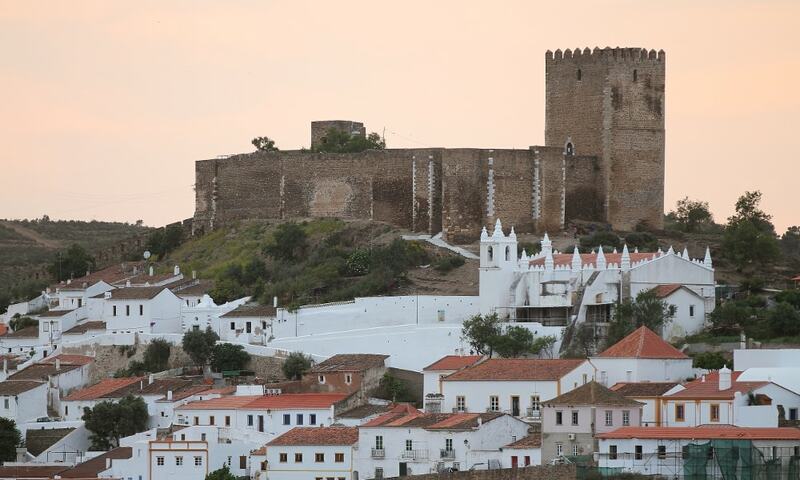 The Castle of Mertola is situated in an urban area on the hilltop, implanted in the rocky landscape bisected near the Guadiana River and the Ribeira de Oeiras. Situated nearby is the former Islamic mosque, transformed into the Church of Nossa Senhora da Assuncao. The irregular, rectangular fortress includes four towers.